AfterTheBuilders Ltd. is reputed cleaning company in Chiswick, W4 which provides affordable and reliable jet washing services. Call us now and get 10% off! We want to introduce you our jet washing service, available in Chiswick, W4 that is appropriate for the entire cleaning of driveways, patios and pavings around your home. We promise to treat in a professional manner your property and to come at a time that would be most suitable for you. We will clean the surfaces from spots and pollutants by using the latest technologies in the jet washing. To receive any further information you can completely count on the customer support centres where our staff will explain all the details about the jet washing. I want to thank you for the second to none jet cleaning that I have received. The best prices and the most motivated cleaners, who were so determined to make everything look perfect for me. You are just great and I am glad that I chose you to perform the jet cleaning for all of my terraces. Best regards. Q: My driveway is covered in moss and dirt. Can you clean it ? A: Yes, our jet washers can completely clean driveways and car parks, no matter in what condition they are. Q: Is your service suitable to clean my patio and decking areas? 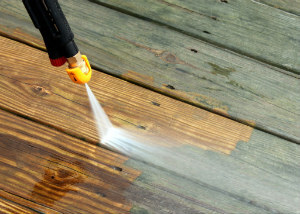 A: Yes, our service is perfect for cleaning wooden and brick surfaces like patios, decking, driveways, fences. Q: Should I be at home during the cleaning? A: It is not necessary if you give us access to the premises. Q: Can you clean my roof? A: Yes, our jet washing service is suitable for roof cleaning. Do you clean the outdoor areas of your house on a regular basis? Do you provide your pathway, exterior walls, stone fence and others with the needed care? If not, then allow us to do it for you and present your our professional jet washing services. Our company has been dealing with excellent jet washing services for many years, pleasing many customers in Chiswick, W4. For several years we have been doing our best to satisfy our clients and facilitate them with ideal cleanness and amazing services. Jet washing is a method that guarantees cleanness of your hard outdoor surfaces. 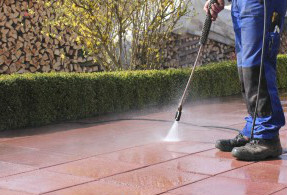 You can have your outdoor space sanitized and refreshed if you hire our cleaners to do the jet cleaning that you need. Your front steps, paved areas, paths, patios, fences, terraces and swimming pool tiles or other external tiles will be rid of the dirty deposits, they have gathered, mud, grit, moss and grime. 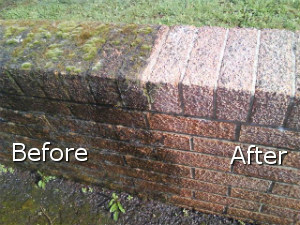 You can make a complete transformation of your home garden or terrace if you use our pressure washing services. They are provided from Chiswick, W4 and are on your disposal any time you need them. Call now or reserve your jet washing online and enjoy the cleaner state of your home outdoor area.